Loved these old covers, so I thought I'd offer them up. These would make fabulous altered books! How uniquely beautiful...would love to win! I adore old books and their cover art!! Truly great covers. Count me in! Gorgeous covers and I am sure the insides are interesting too. My grandmother was born in 1907 so that year always has special meaning to me. So beautiful covers. Old books can be jewels. really lovely covers...and that first title looks interesting! I would cherish these books. So lovely! I hope they smell the way I imagine them to. these are beauties! I would love to read "Good Times at Home"! Please enter me!!! These are wonderful art works. Whichever it is, please put my name in the hat. Yessss. These are all AMAZING. Entering. Oh man, I could really use some instruction and amusement. Please throw my name in the hat too! Please count me in, too! 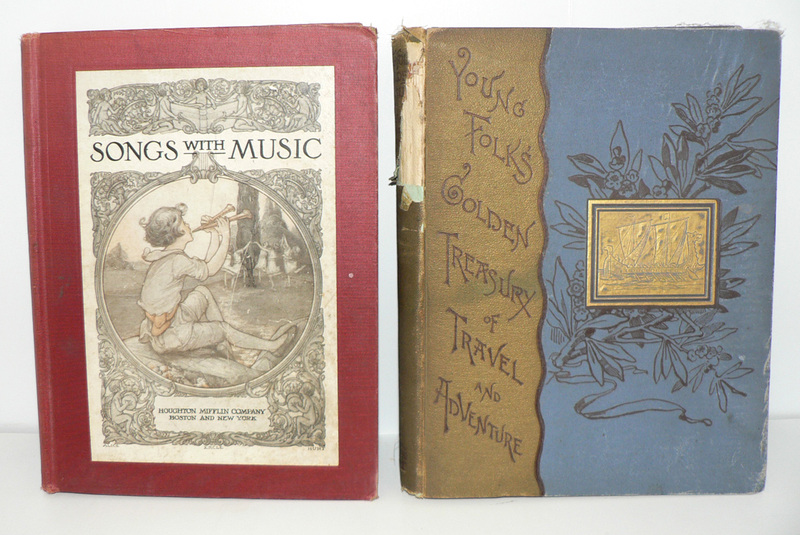 We have a collection of vintage books at our library - people stop to look and express their amazement at the care and creativity that publishers once used for book covers. These are beautiful! I would love a chance to win one! The first thing I thought of was what great altered books they would make. But don't count me as entering, as I have won before. I just wanted to comment. Gorgeous covers! I would love to have these!! Thank you!! What neat looking books, you are so right. Yes, I'm entering for a chance at these wonderful books. Thanks! Count me in. They look great! Very cool! The art is fantastic, and I love the subject too. Chatterboxes are one of my favorites! Yes, they are beautiful covers. I can't wait to see inside them when, er, if I win them! Thanks for offering them. Very nice. 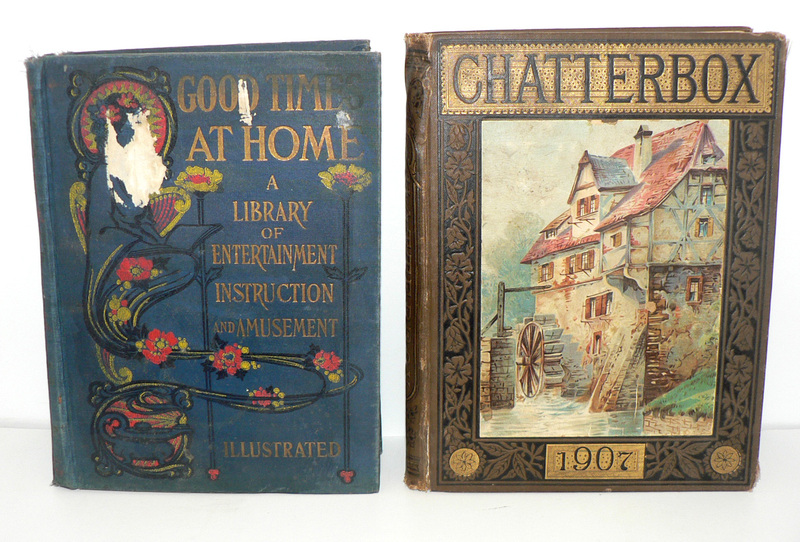 Great artistry to early 20th c. tomes. Nice, I really like the instruction and amusement book. These are really beautiful. Would love 'em. I would like these, please. Really beautiful! I could easily see them as an altered book project, art journal or something like that. Gorgeous! I love reading and collecting old books.